Packing for our vacation at Hilton Head is nearly complete. Minnie looks excited about her first big trip. 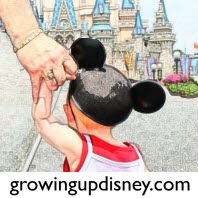 Please follow Growing Up Disney throughout the next week as we share Disney's Hilton Head Island Resort. Now that is cute! She looks like she is ready for vacation! Have a great trip!